The Trump administration has nominated a former Monsanto employee to run the U.S. Fish and Wildlife Service. 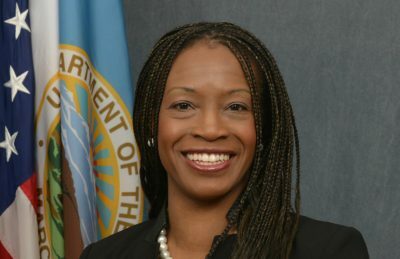 Aurelia Skipwith has been at the Department of the Interior since April 2017 and has helped oversee virtually every effort to dismantle protections for wildlife, national parks and monuments. Under current U.S. law, the president cannot appoint a person to run the Fish and Wildlife Service unless the person is “by reason of scientific education and experience, knowledgeable in the principles of fisheries and wildlife management.” Skipwith’s nomination breaks with decades of tradition from presidential administrations of both parties in that she has neither education nor experience in fisheries and wildlife management. During Skipwith’s tenure the Fish and Wildlife Service has repeatedly put the interests of the pesticide industry ahead of imperiled wildlife. In the spring of 2017, the Service scrapped the first nationwide biological reviews that assessed the impacts of pesticides on endangered species. In August it reversed a 2014 decision prohibiting bee-killing neonicotinoid pesticides and genetically modified, pesticide-resistant crops on national wildlife refuges. Skipwith has also overseen the national park system in her current position and was instrumental in the agency’s sham review of the national monument system that enabled Trump to illegally eliminate Bears Ears National Monument and Grand Staircase-Escalante National Monument. “The Senate should ask Skipwith hard questions about her tenure at the Service, because confirming her would be a travesty for our nation’s wildlife,” said Hartl.